BEDFORD STUYVESANT — Tucked behind a Brooklyn Home Depot, up five flights of stairs, along a yellow-painted wall there’s a lady that’s taking social media by storm. Except she’s not really a lady. Instead she’s the brainchild of another woman whose famed “door art” went viral this week — Hollie Tubbs. 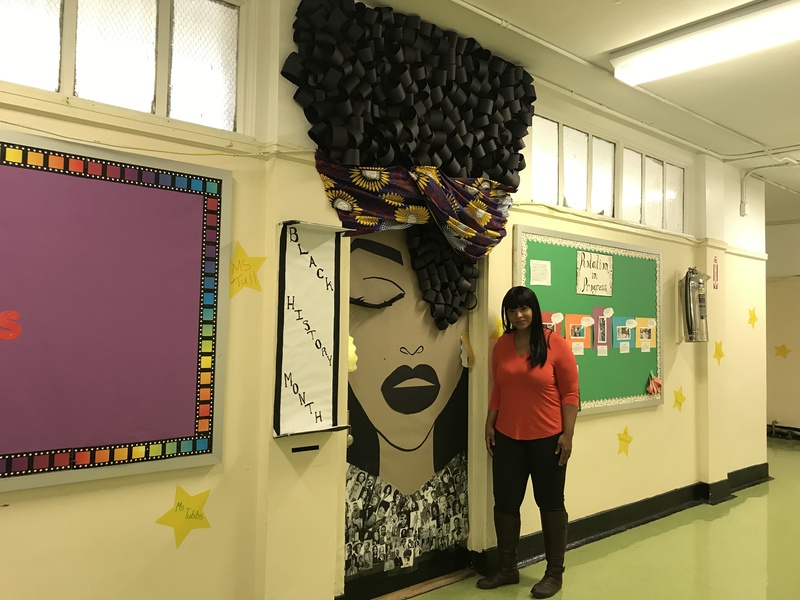 Tubbs, 45, wanted to do something special this year for Black History Month for her class of five at PS 231 at 54 on Stanford St. in Bedford Stuyvesant. So with close to two-hundred rolls of black construction paper, some yellow bordette, glue and $9 of fabric from Nur Jahan on Fulton Street, set out to make a grand version of her likeness. The insta-celeb said she gained more than 400 new followers on Facebook and she’s getting DM’s from across the world, including Canada, Nicaragua and Ireland. “Everyone’s just saying it’s a great show of art for Black representation,” she said. Tubbs said she started the project Monday morning and finished the next day around the same time. The entire piece took about five hours with breaks in between the gluing, cutting and stapling. 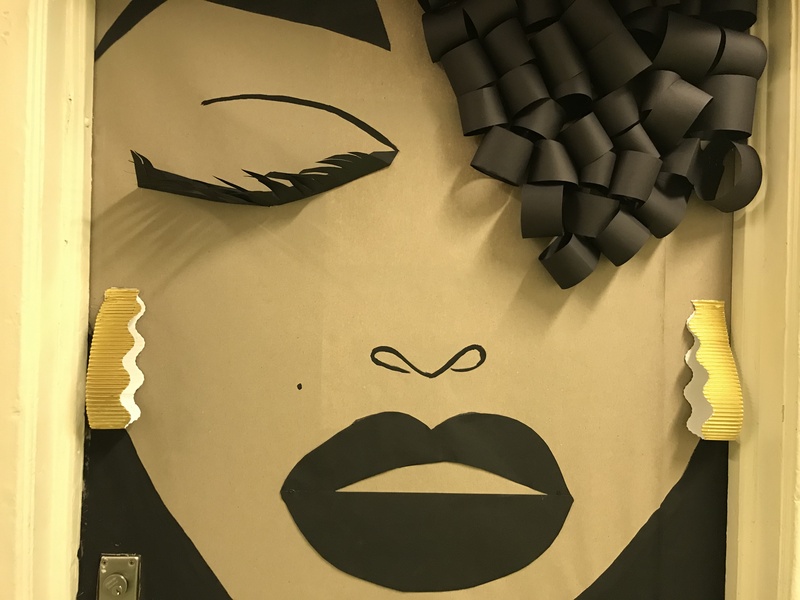 She’s since given tutorials on door-art to her newfound fans on social media but attributes some of her inspiration from @quillqueen on Instagram. The assistant teacher, along with one teacher and three other AT’s serve six students in her classroom, all of whom are living with disabilities. The satellite location is one of six cites throughout Brooklyn in Boro Park, Bensonhurst and Bay Ridge. Tubbs at the Bedford Stuyvesant for the last two decades. Tubbs said the artwork is a cross over into this year’s curriculum for their students with disabilities in the 48-person student body. The 6- to 8-year-olds will study the accomplishments of Nelson Mandela, Ruby Bridges, Barrack Obama and Mae Jameson. 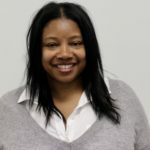 “We wanted to take time to highlight specific African Americans depending on how much our students can retain,” Tubbs said. Horrid, what does this have to do with black history month, Harriet Tubman would had been better, was a lady with great history.